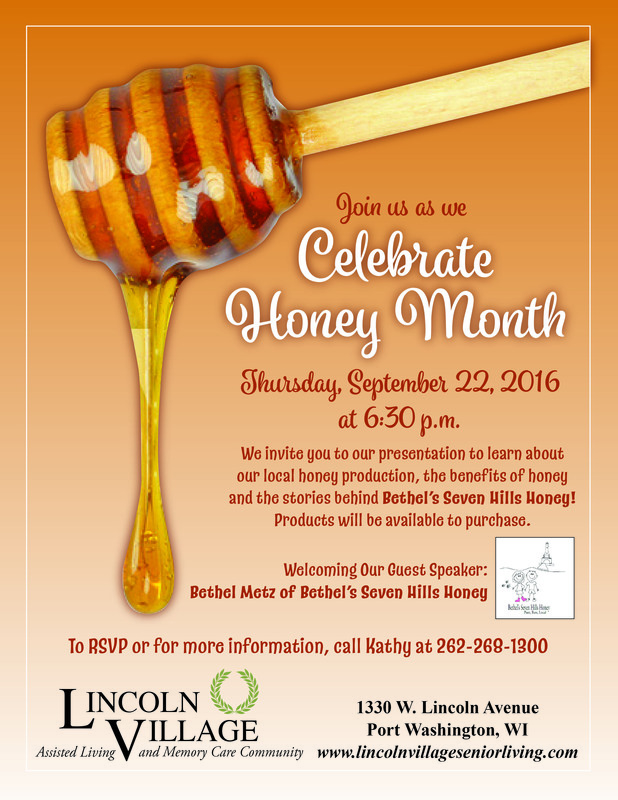 Please join us for a wonderful presentation by Bethel’s Seven Hills Honey about the amazing benefits of honey and local honey production. 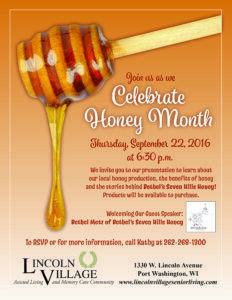 Celebrate honey month with us at this fun and informative event! 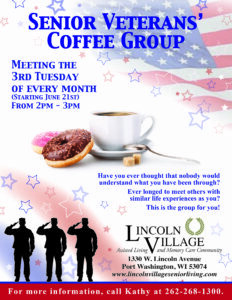 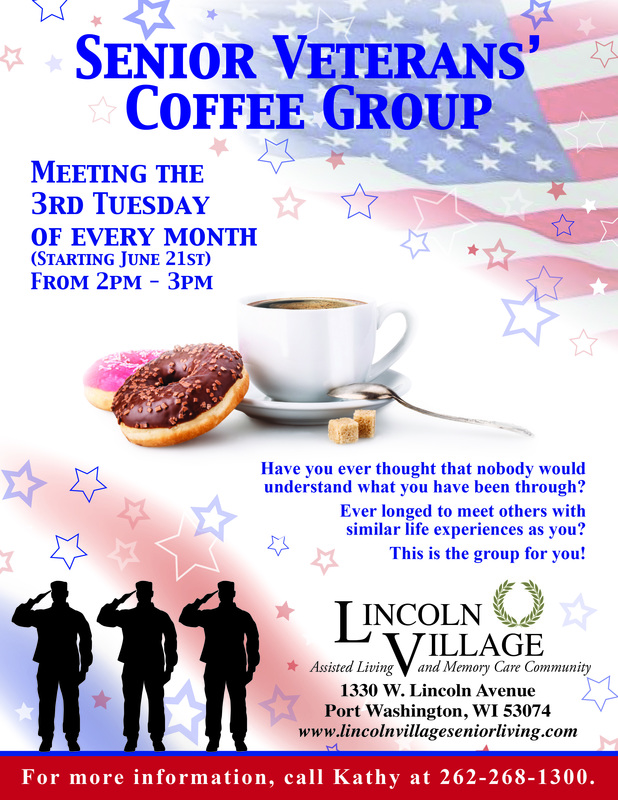 Please join us every 3rd Tuesday of the month at Lincoln Village Senior Living for a Senior Veterans’ Coffee Group.